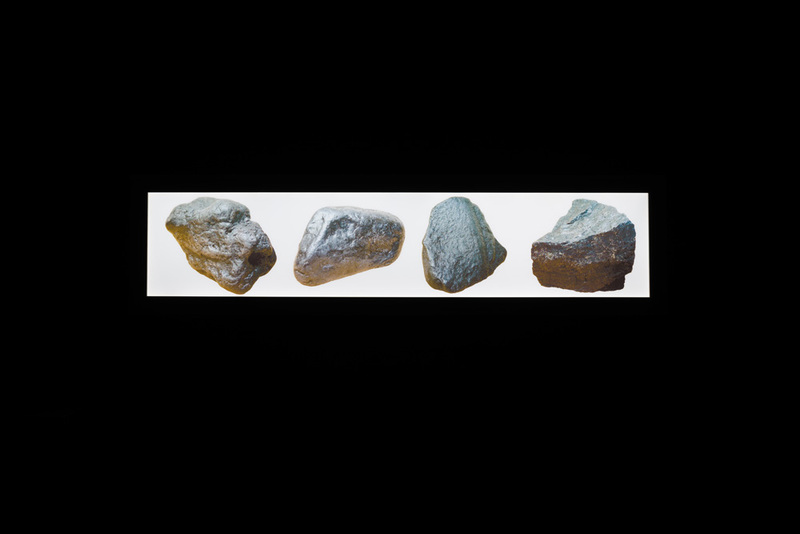 Three Rocks 1 (after Kosuth) (2016). 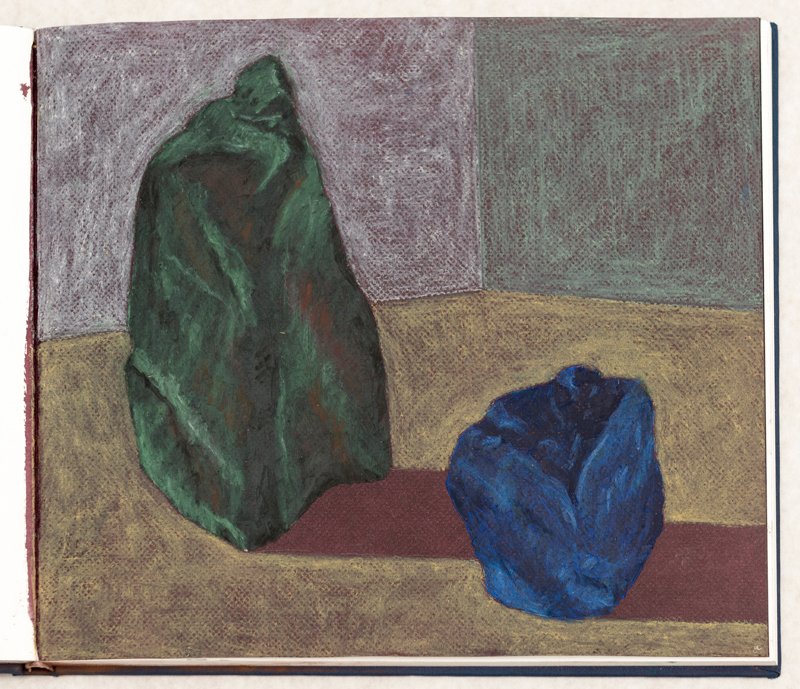 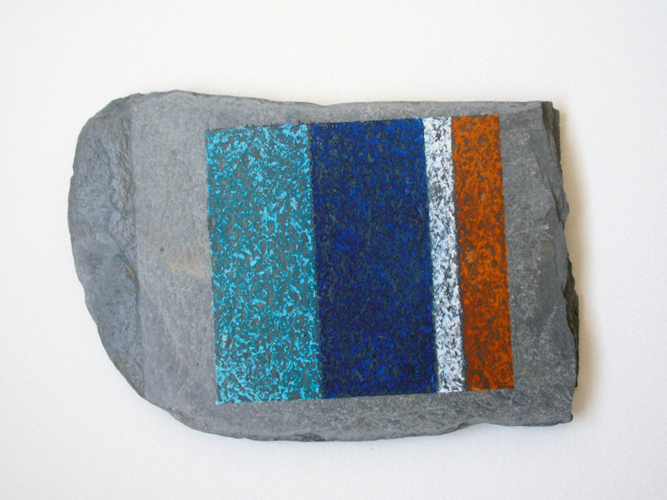 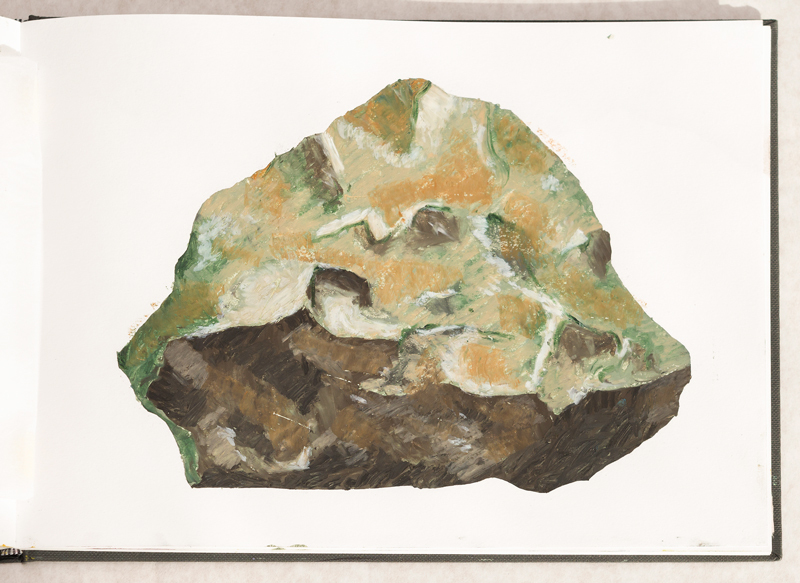 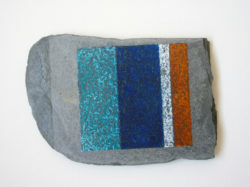 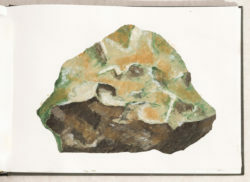 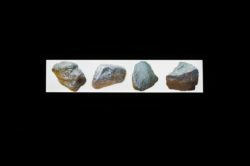 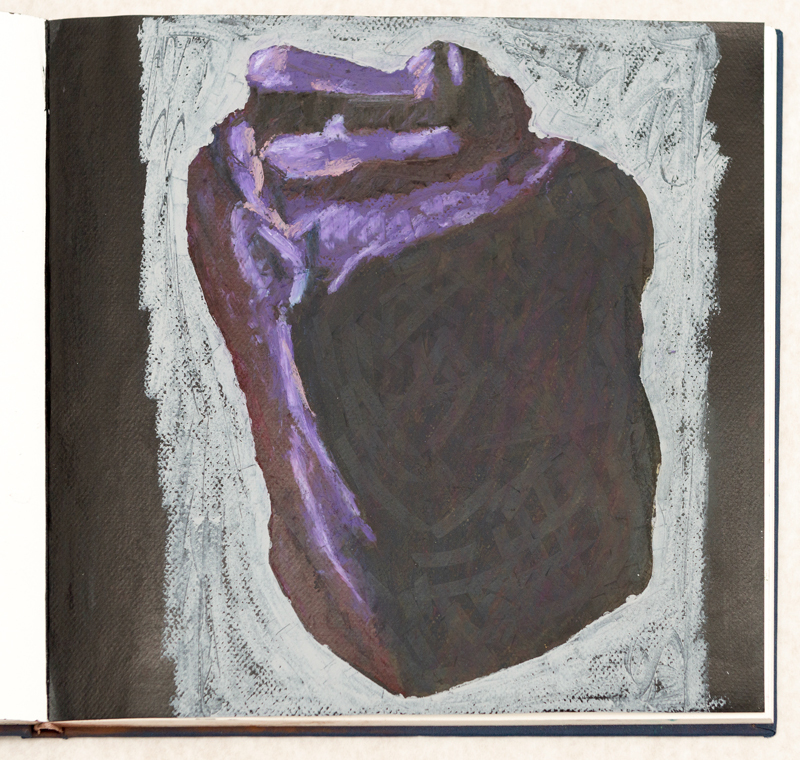 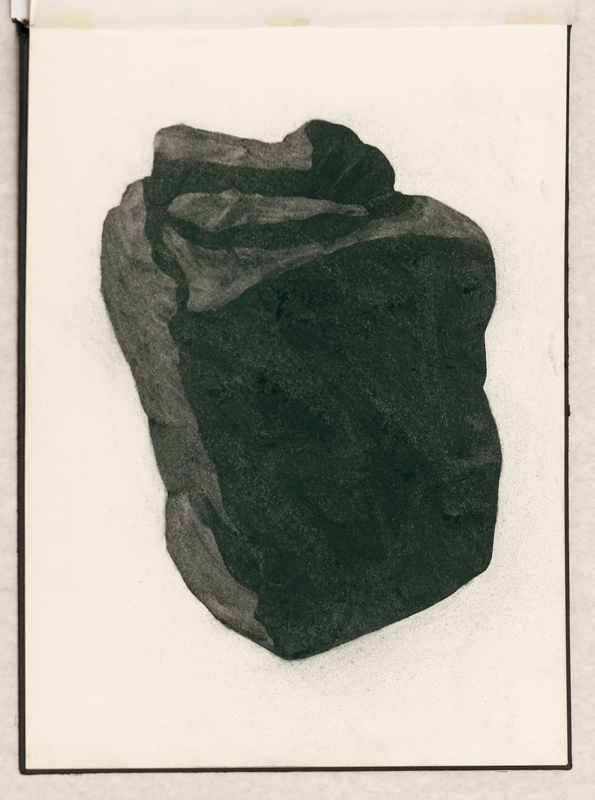 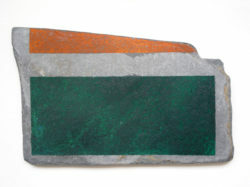 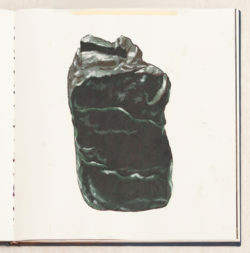 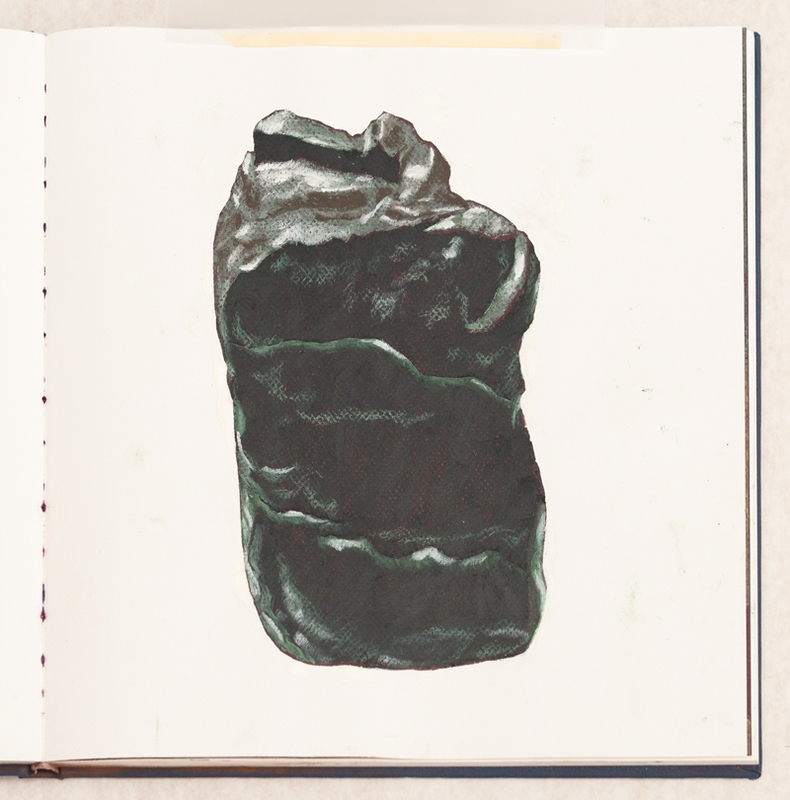 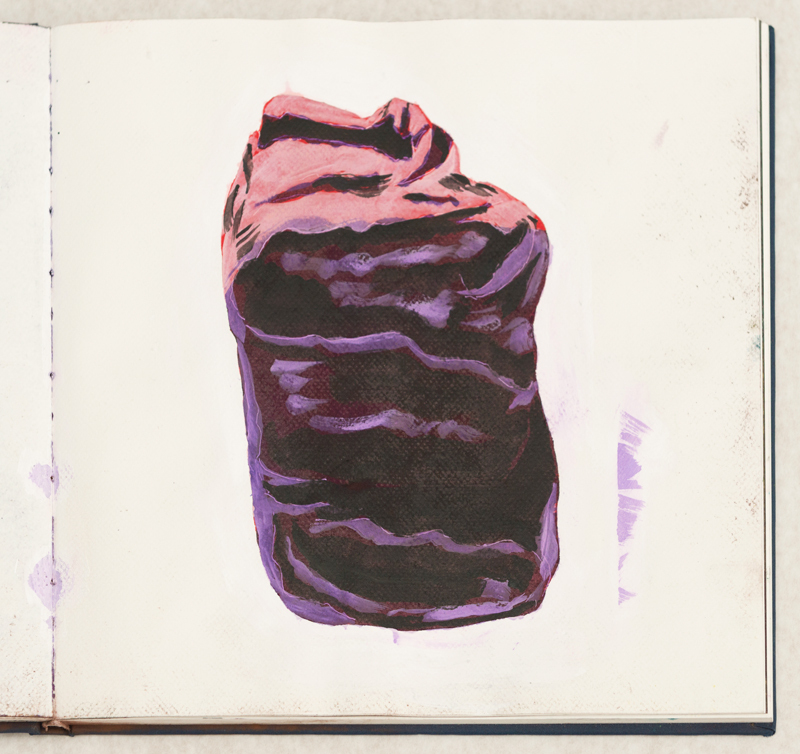 Photograph, stained and polished rock, pigment liner on paper. 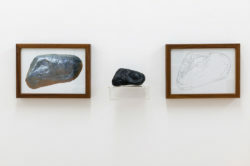 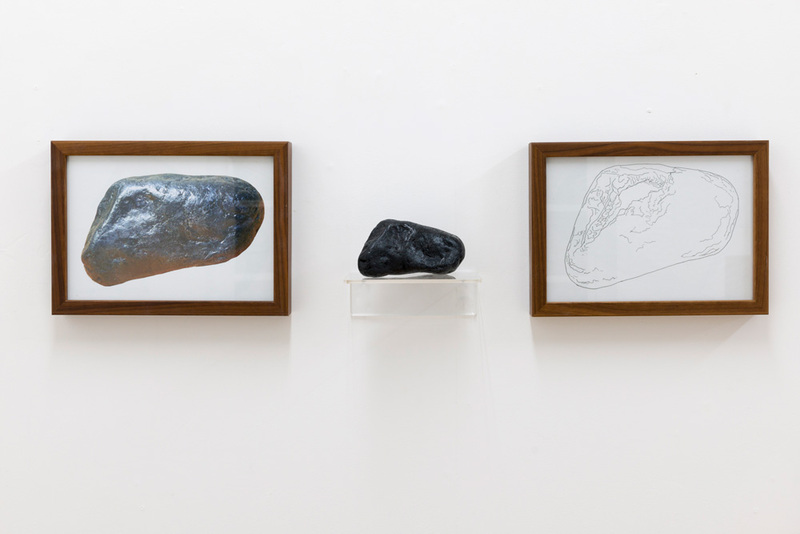 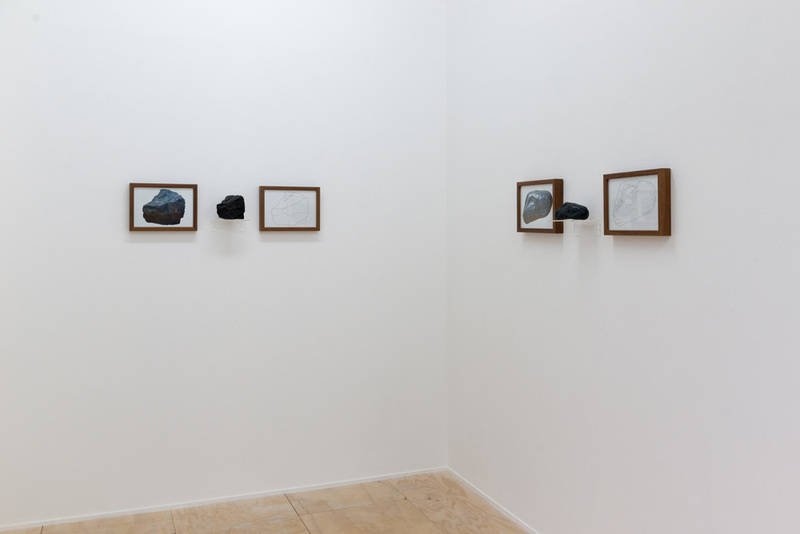 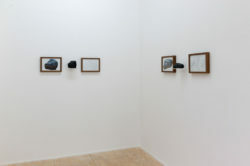 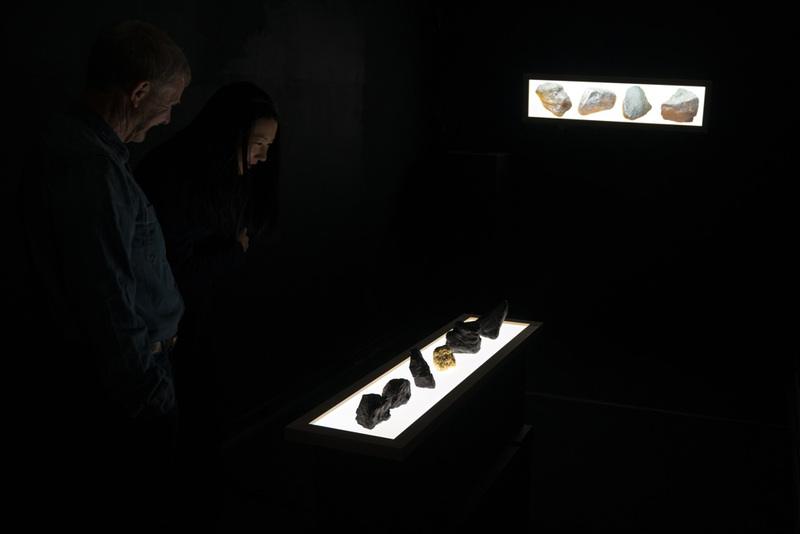 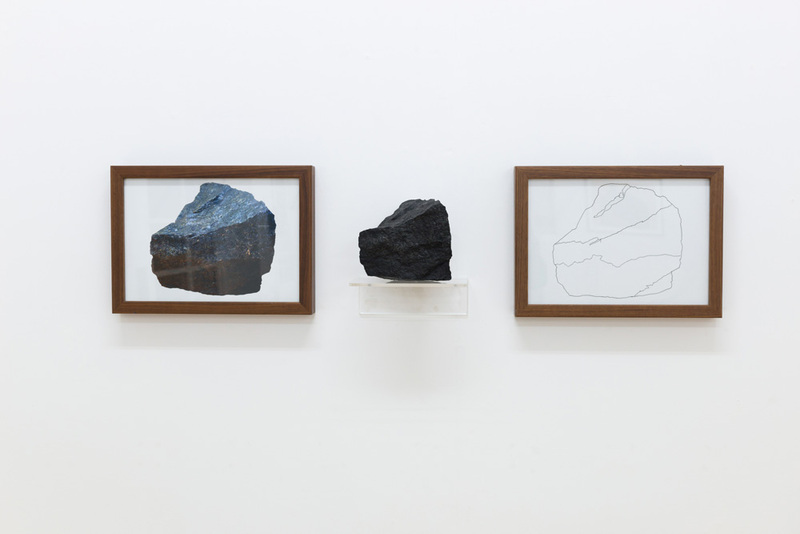 Three Rocks 2 (after Kosuth) (2016). 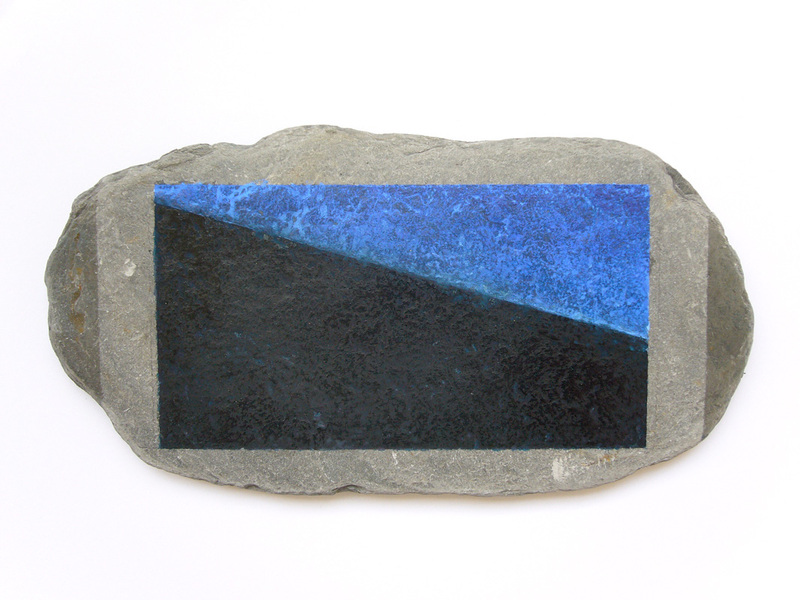 Photograph, stained and polished rock, pigment liner on paper. 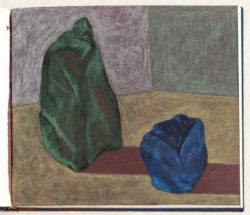 The Philosopher's Stone (2016). LED light panel, stained painted and polished rocks, gold leaf, 124 x 34 cm. 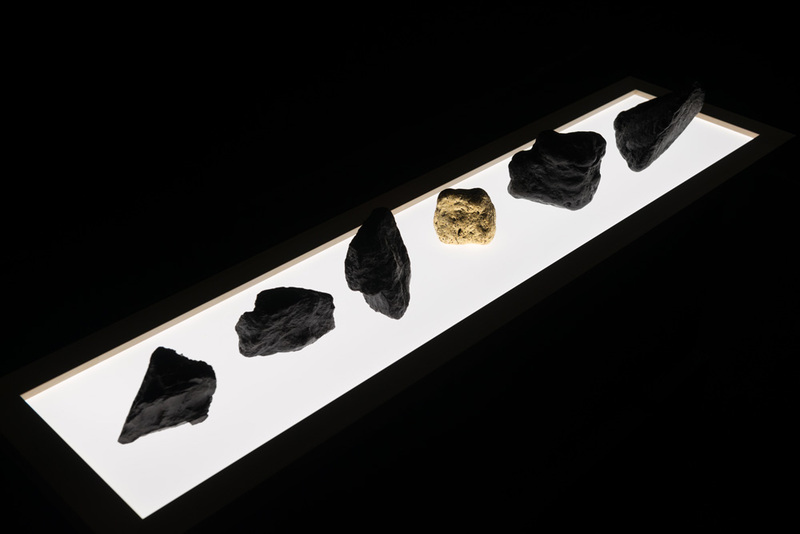 Four Rocks (2016). LED light panel, photographs on transparent paper, 124 x 34 cm.